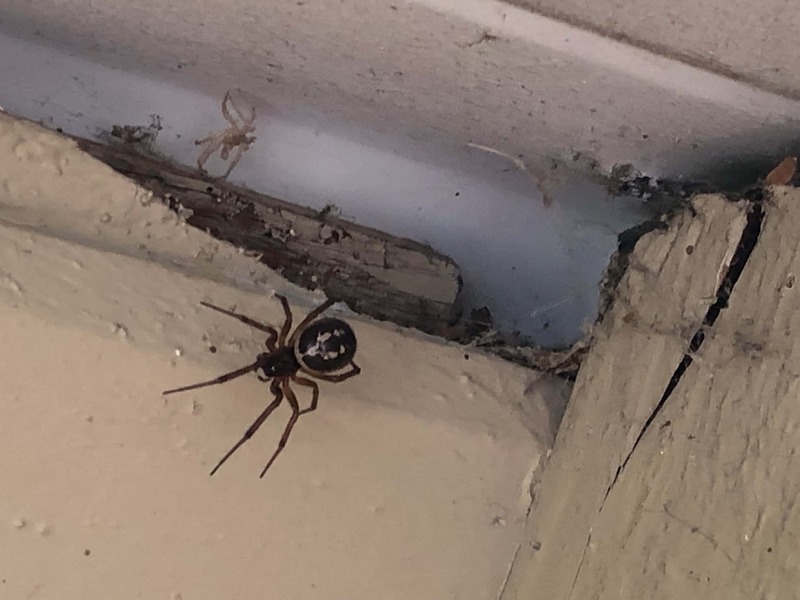 Any idea what this spider is? Found in the Bay Area in Northern California. Steatoda noblis, a noble false widow. The dorsal markings on the abdomen distinguish them from other false widows.